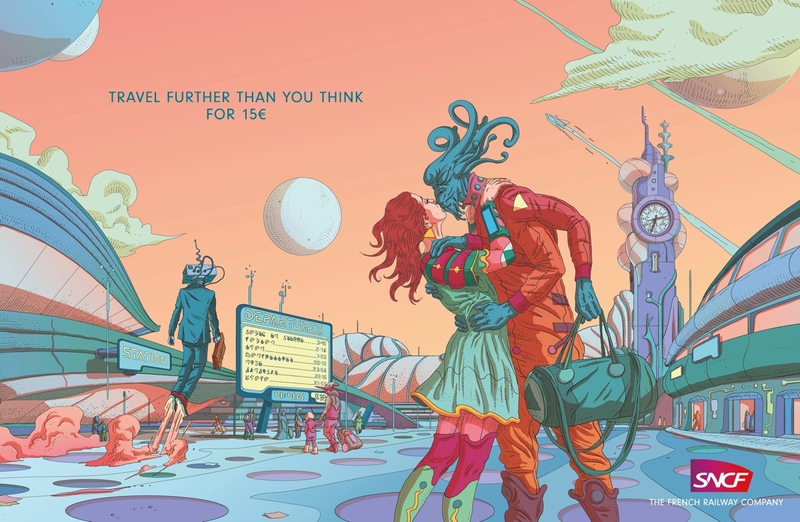 Those of you who stop by TBTP on a regular basis know that I have a soft spot for travel posters. 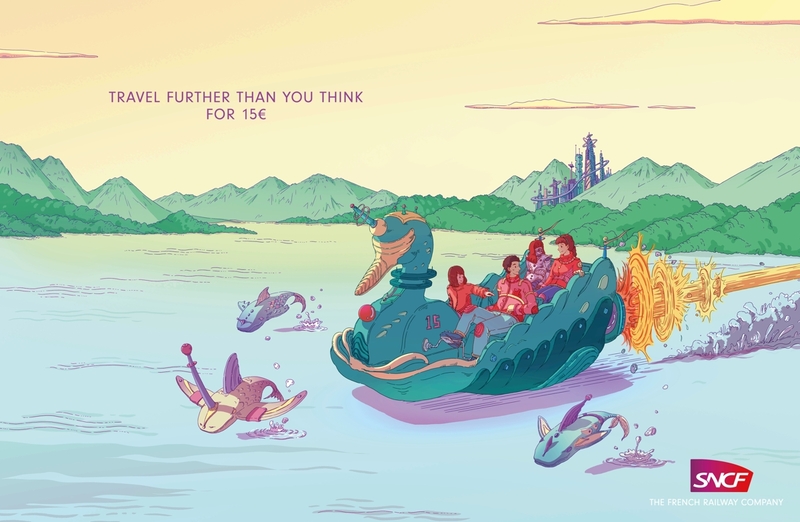 So, of course I love these brilliant and colorful railway ads for SNCF. 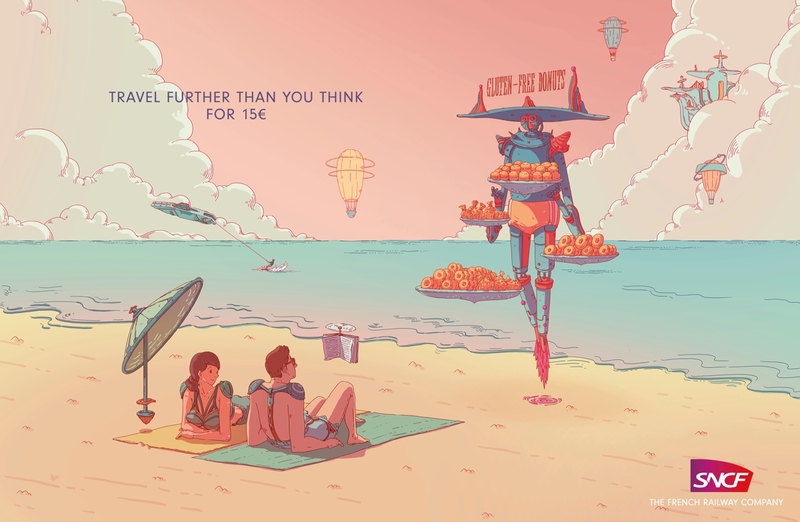 Illustrators Wenyi Geng and Olivier Bonhomme created the sci-fi/fantasy inspired posters to promote the French railway’s special €15 fares. This entry was posted in Art, Europe, Public Transport and tagged France, railways, SNCF, Travel Posters. Bookmark the permalink. Love it. 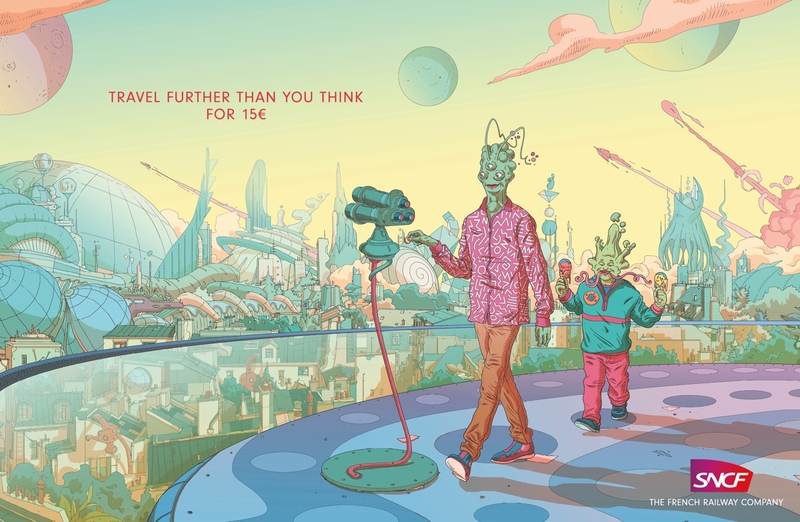 Reminds me on the Art Comics of Moebius! Thx for sharing.